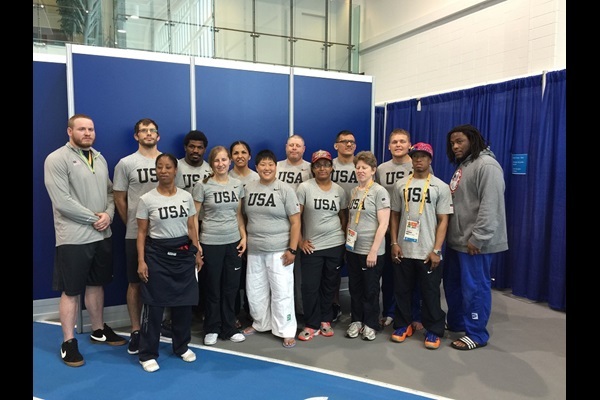 The 5th annual Gateway Judo Tournament got underway at the Overland Community Center in Overland, Missouri on September 19, 2015. Tournament director, Derick Wellman has seen this tournament grow into one of the best judo tournaments in the state of Missouri. For the second consecutive year in a row Lou Paez and Dan Dillon were the coaches for Team White Dragon. In the junior division, Georydan Burrows made an excellent debut by scoring bronze. Her teammate Cameron Duffield scored silver in his weight class. Sam Coln displayed great improvement but was unable to crack the medal stand. Jeric Gumahin scored a silver. Issac Valdez De Soto scored his second consecutive gold with a nice tai otoshi in his gold medal match. Riesen Riley won gold showing off her superb athleticism. Anthony Darevsky was a man on a mission. He dominated his category taking the gold via osaekomi. In the senior division, Eric Fink and Anthony Weeks took silver medals in the perspective weight classes. Robert Handshy continued to improve with a silver medal performance. Bat Unur “The Batman” Erdenebayer shook off the rust taking a bronze medal in his division. Adnan Gutic took his 4th Gateway gold medal dominating his division. 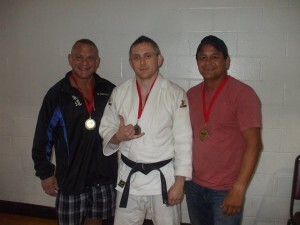 In the revamped Veteran’s category, Lou Paez fought his way to a bronze medal. Glenn Trotter rounded the team with a silver medal finish.